$305.99 plus free shipping in the contiguous US. Call for Hawaii and Alaska prices. Like an athlete that is both a sprinter and a long distance runner, the ODYSSEY Trolling Thunder/Marine Dual Purpose battery has both massive starting power and amazing deep cycling capability — up to 400 cycles at 80% depth of discharge. 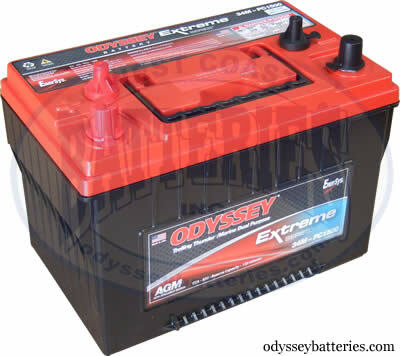 With twice the overall power and three times the life of conventional marine batteries, the ODYSSEY battery is ideal for trolling, starting, and for powering the many on-board electronic accessories common in today’s boats and recreational vehicles.